Which is the Best Scar Removal Cream of 2019? Based on the latest clinical trials and medical research we have changed our recommendations on the most effective scar removal creams. We used to recommend Mederma since its active ingredient – onion extract – is very efficient in the scar treatment process. 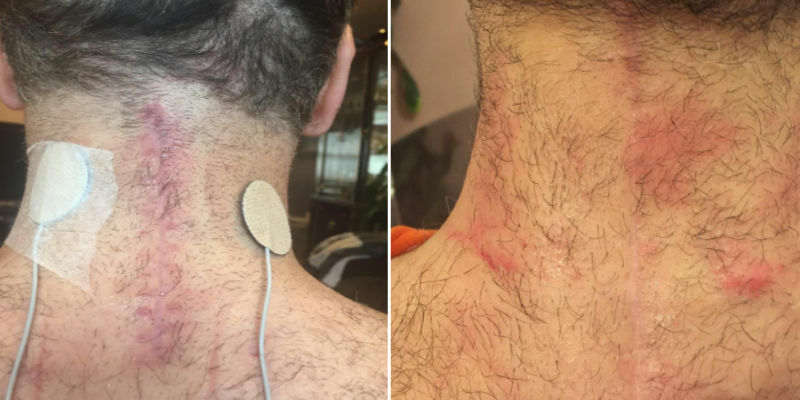 However the latest research and the countless emails I receive from our readers and their experience with scar healing point that the medical grade silicon-based creams are even more effective in the scar healing process. 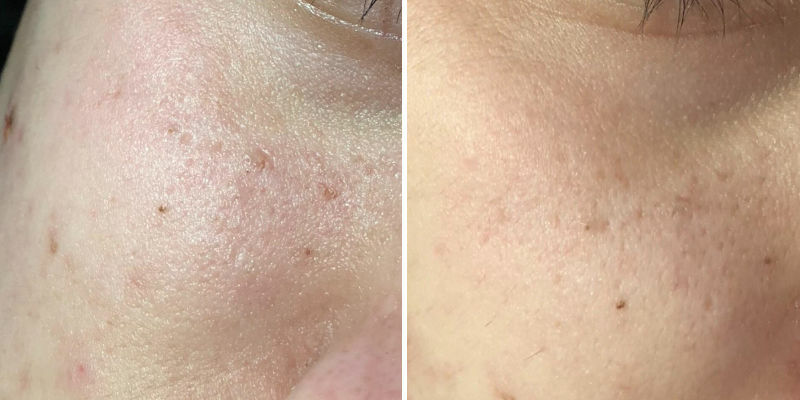 This is why NewGel+ is currently the best scar removal cream you can buy. I have cited the research papers and clinical trials in the cream review below. When is the Best Time to Apply a Scar Removal Cream? Do scar removal creams work? What is the most effective scar removal cream for a deep scar? How do anti-scarring creams work? Which formula is good for year old cutting scars? Which is the most effective scar removal cream for surgical scars? Which is the best cream for facial scars? Which is the best cream for burn scars? What are the ingredients in an anti-scar cream that can help my scar get better? Your skin is like a canvas. When it’s damaged, no matter how much makeup you put on it, other people can see that beneath those layers you are damaged. When it’s healthy, even without makeup, you already appear fresh and alive. Having healthy skin is the result of both inner and outer treatment. On the inside, you must treat your body right by eating properly and doing enough exercise. Giving your body the right nutrition added with sweating toxins out will make your skin appear smoother and cleaner. On the outside, you can use skin care treatment to repair or conceal any damages. This is especially useful when you want to get rid of or at least reduce the appearance of unsightly scars on your body. Having a scar on your body can greatly affect your esteem. It can make you feel not confident about your appearance – which in turn can affect how well you talk to and work with other people. The challenge is in finding the best scar removal cream that works for your body chemistry. Everybody’s chemistry is different. The same treatment used by two people can give vastly different results. It might work wonders for you, but it might also do nothing even after you’ve used it. In our research, we review ten of the most popular scar removal creams based on their ingredients, clinical trials and reviews from real people who have used them on their scars. These scar removal creams are being used by many people, so you can find out if they work or not from the reviews, testimonials and before/after photos. 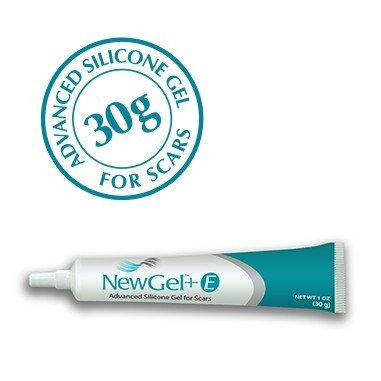 NewGel+E is a topical silicone-based scar gel with clinically proven benefits in the treatment of scars. NewGel+E is a combination of only two ingredients: Polymerized Siloxanes (medical-grade silicon) and Tocopherol (vitamin E). The medical-grade silicone covers and protects the affected area from the environmental irritants, it successfully reduces the size and improves the texture and color of the damaged tissue. The other active ingredient, Tocopherol provides a deep moisturizing effect and has a strong antioxidant activity. According to both clinical trials and patients’ reviews, NewGel+E is effective for the treatment of newer and older scars and those who posted pictures of their recovery had impressive results. What makes this gel formula more interesting, compared to competitive scar removal creams is that NewGel+E appears to reduce the appearance of scars, which are years old, even if the tissue is severely damaged. Another positive aspect is that the formula seems beneficial for a wide variety of scar formations, including keloids, burns, and scars from trauma, hypertrophic procedures, cosmetic procedures, abdominoplasty, general surgery, C-section, and contractures. The formula is often prescribed by plastic surgeons and dermatologists, as it is 100% safe, it does not provoke adverse skin reactions and is fragrance-free. All these characteristics make it a more reliable option compared to the super expensive alternatives with no clinical background. This stuff really works… The trick is to use it every day twice a day. The only thing to remember is that after applying the scar removal gel, you should leave it for a couple of minutes until it dries out completely! NewGel is not a scar removal – it is a transparent, odorless formula that will constantly keep the area affected hydrated while promoting the faster healing and regeneration of the damaged skin cells. The benefits of this scar gel and the ingredients it contains are tested and proven by multiple clinical trials, and the experience of hundreds of scar patients, which makes it the most effective scar healing formula you can currently find on the market. Read our NewGel+E Gel review here. Higher prices do not necessarily guarantee good quality. This is the case with PuriDerma cream – an unpretentious formula for the management of scar formations of all types. 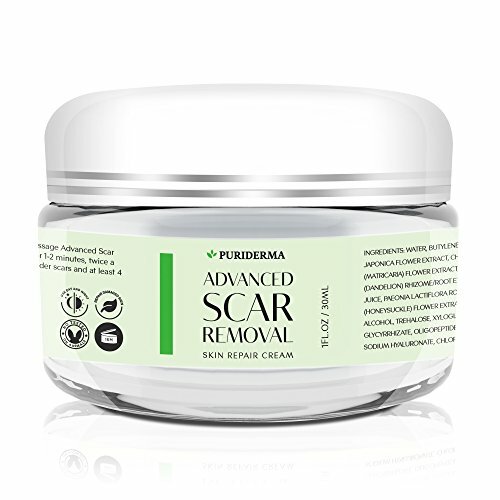 We have chosen this advanced scar removal cream because of the potent, yet harmless natural ingredients in it and the results it provided for hundreds of satisfied patients. According to both manufacturer and people who used PuriDerma cream, a visible reduction, and fading of newer scars can be obtained within 4 weeks. If the scars are older, however, it may take up to 8 weeks until you start seeing an improvement. 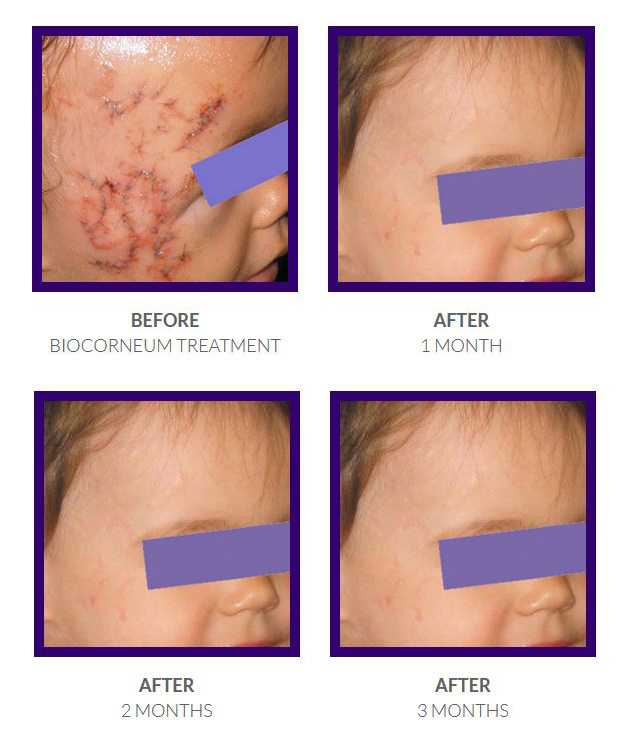 There is no other formula for scar management with such a positive reputation among customers – almost 90% of all patients who shared their experience with this PuriDerma product, are indeed satisfied with their results. The affordable price combined with high efficacy made hundreds of people recommend this scar removal cream to family and friends. The potent blend of Aloe Leaf, Chamomile, and Dandelion extract, combined with Allantoin, makes this formula super beneficial in the management of scars. When applied topically, it provides deep skin hydration, accelerates the process of skin regeneration and provides strong anti-inflammatory and antioxidant activity. Yes the lighting changed, but regardless you can tell the scars have drastically lightened and flattened. Read our PuriDerma Cream full review here. 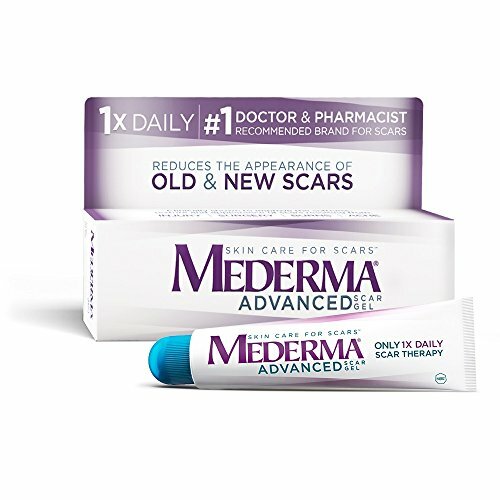 Mederma Advanced Scar Gel is the budget-friendly scar removal method to reduce both new and old scars. 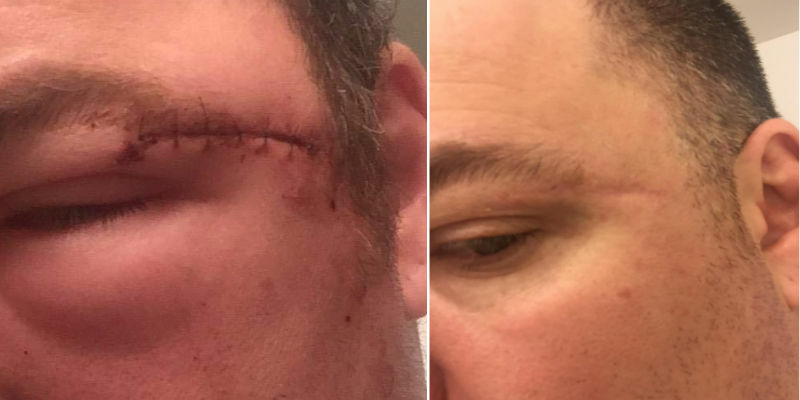 If it is a new scar, you put it on 3 times a day for 8 weeks. If it is an old scar, you need at least 3 to 6 months. There is 20g of non-grease gel in each tube, preventing the further development of scars while treating the damaged tissue. It protects your scar from harmful the harmful sunrays and keeps it well moisturized. You should note that Mederma can only reduce a scar, but not completely eliminate it. It is still one of the best scar removal creams out there, thanks to the proven ingredients it contains (Onion Extract. Allantoin, Lecithin and other ingredients with a proven beneficial effect in the management of scars). Its main use is for surgical and trauma scars, but you can use it on acne scars too. Mederma is especially effective on keloid scars. One negative note about this scar removal cream is that it has a distinct odor because of the onion extract, so keep that in mind before ordering it. One customer reported seeing no results after using it for a month. Be sure to use it for at 8 weeks – the minimal period recommended. Mederma is a great scar removal cream for longer application since the onion extract is natural and powerful scar fading ingredient. Another great aspect about Mederma is the affordable price – you can successfully restore the damaged tissue for less than 20 dollars! It has worked like magic on both the new and old scars. I’m very pleased with the results, worked like a charm! The problem with most scar removal creams and gels are that they are mixtures of different ingredients that might make the scarring less visible. They don’t work for everybody, they are not supported by clinical data, while their prices are often unacceptably high. Two doctors specialized in the treatment of scars decided to develop a formula, that will meet patients requirements for effective, evidence-based scar management. This is why, Scarless MD contains 100% medical-grade silicone, proven effective in the management of both newer and older scar formations. It deeply moisturizes the area affected, without leaving a greasy or sticky residue. Scarless MD is both fragrance-free and cruelty-free scar removal cream, which is well-accepted by patients. The formula can be easily applied to the facial area, you can even use your sunscreen on top (this will help you avoid discolorations and pigment spots). It is overall a great scar remover. Another detail you might like about the cream is that you can ask for a refund in case you are not completely satisfied with the results obtained, which is rarely an option when it comes to scar removal creams. ScarlessMD is one of the most effective over the counter scar creams you can buy but the truth is that the formula is a bit more expensive, compared to other silicone-based scar treatments. Read our Scarless MD review here. Scarology is made by a physician husband and wife duo. Their scar removal cream is different than others because they offer a complete, 3-in-1 solution for total scar removal. 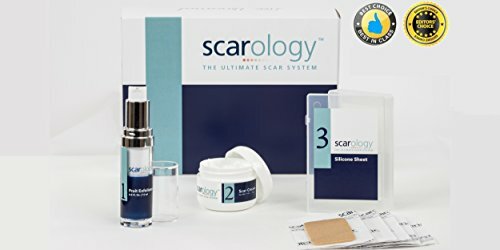 The Scarology bundle consists of a fruit acid exfoliator, a scar treatment cream, and silicone scar sheets. The company recommends different treatments depending on what type of scar you have (if you have a severe scar, you need the complete package). You use the exfoliator in the morning, the cream during the day, and the silicone sheets before sleep. 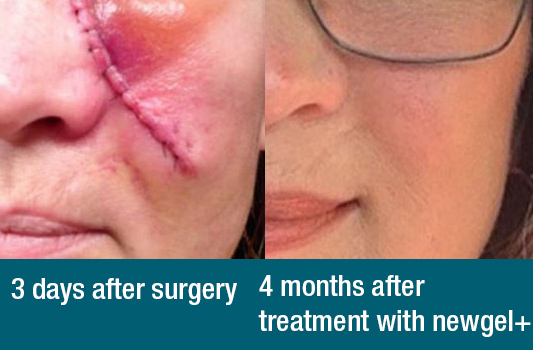 Using this treatment, a mother was able to heal her daughter’s scar: it was 50% less visible within a week. Another mother used it to heal a burn scar on her 2-year old daughter within three months. 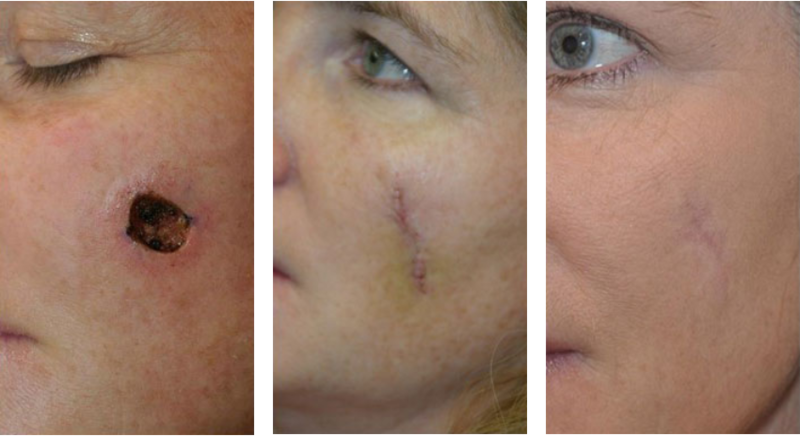 If you’re looking for a complete scar treatment package, then Scarology offers it. However, it’s one of the most expensive options among other scar removal creams on our list. The company does offer a satisfaction guarantee and gives you a refund if the scar removal cream doesn’t suit your skin. 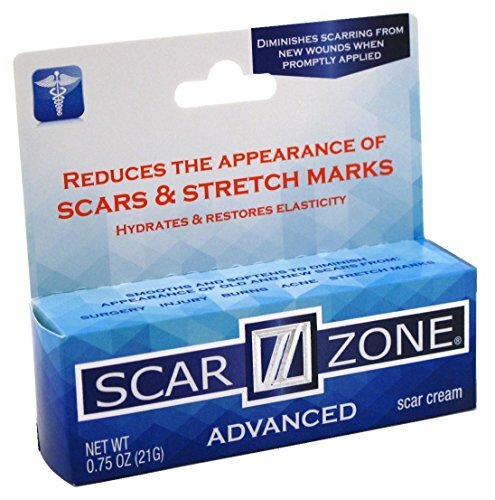 ScarZone is a good scar removal cream that receives a rating similar to Scarguard MD. There is a high interest in this scar healing cream, but we did not find many testimonials for it (unlike the other popular scar fading creams we review). This cream contains moisturizers and silicone to keep your skin hydrated and elastic, two skin qualities that are important to help the healing of scars. To get the best effect from this cream, you should use it for at least eight weeks if your scar is new. If your scar is old, then you may have to wait three to six months before you start seeing results. What’s interesting about this cream is that we didn’t find any reports of side effects, but that doesn’t mean it is free from any side effects. From the limited customer reviews, we found, one user said she eliminated years of acne damage on her face. If you have suffered years of acne scars, then this top scar removal cream may be the right one for you. But do take care because we found that ScarZone Advanced Cream may make your face oily. EFFECTIVE: ScarAway scar treatment is clinically supported to flatten and soften raised scars, reduce redness and fade discoloration of scars both old and new. USE: Ideal for old and new scars from surgeries, burns, injuries, bug bites, acne, cuts, scrapes and more. 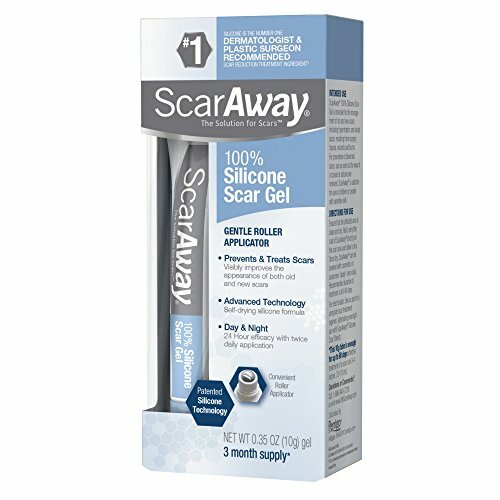 ScarAway Scar Repair Gel forms a protective, flexible, breathable and waterproof layer on your skin once you apply it. It consists of 100% self-drying form of silicone, which is made up of Polysiloxanes and Silicone Dioxide. Each 20g tube is enough for 90 days of treatment for both old and new scars. The main benefit of using silicone gel is that it is a clear and odorless therapy. You can use this gel to treat hypertrophic and keloid scars from surgery, trauma or other wounds including burns. You can use it also to diminish acne scarring. Apply it twice each day as a very thin coat for 2-3 months. It can reduce the redness of your scar and improve its cosmetic appearance. According to Scar Away, 80% of patients rate this gel as good or very good. It can take several weeks to see results. 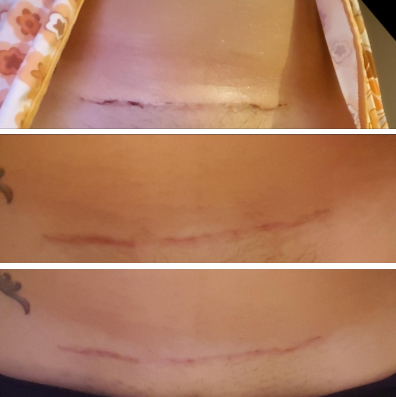 One customer saw a difference in just 2 weeks; another customer used it for 3 months on her 3-year-old scar and it did not work. 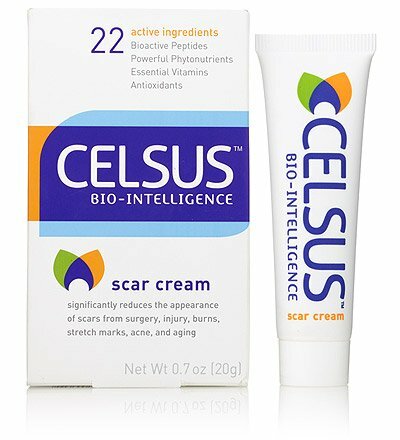 Celsus Bio is unique among its competitors because it is the only brand that claims it uses certified organic botanicals. There are no artificial chemicals, preservatives or fragrances used in the ingredients of this cream. It also contains active ingredients that act as powerful antioxidants to lessen the appearance of ageing. It is not as effective as silicone but is one of the best scar removal creams if you are looking for a natural formula. You can use this cream for many types of scars, including skin wrinkles and blemishes. The directions recommend you to use Celsus Bio for at least six weeks (180 days) on new scars and up to eight weeks (240 days) on old scars to see results. The good news is that one tube of this cream can last quite a while, though you will still need multiple tubes to get the most benefit. 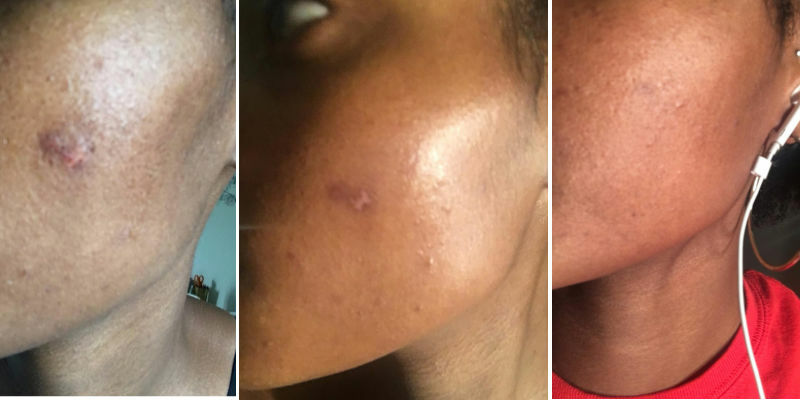 A customer reports that she managed to get rid of scars on her face within just one week. That is quite a fast time compared to most results people get when using scar removal creams although it can’t be taken as the norm. There is a report that a customer had an acne breakout after using this cream, so it isn’t without side effects. 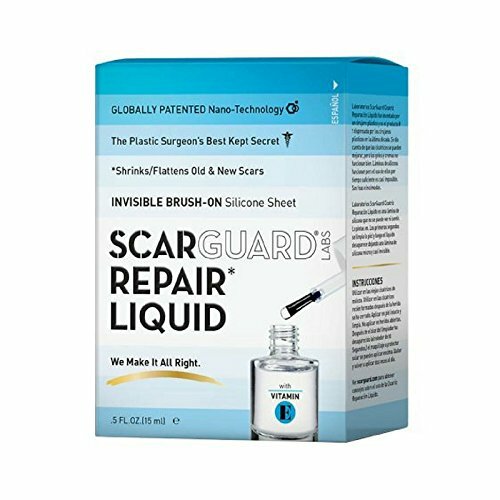 Scarguard MD combines vitamin E with advanced ingredients (such as 12% silicone and hydrocortisone 0.5%) into an easy to use, brush on the solution. After you put on the clear liquid, it dries quickly and forms a waterproof, almost invisible layer to protect your scar. You can use this scar removal cream to heal surgery, injury scars, and also minor skin irritations, inflammation, and rashes. Since the layer looks like paper on your skin, this scar fading cream is best used on body parts that aren’t visible to the public. 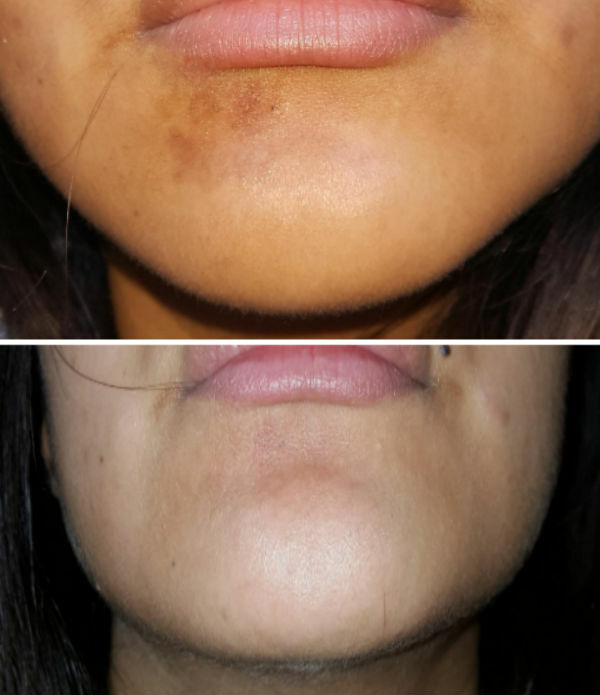 One customer used it for 6 months and her scar is very minimal. Another customer used it for his surgery scar and it shrank to half the size in only 2 days – after a week the scar was gone. One thing you should note is this liquid smells like nail polish. The smell comes from a disinfectant to prevent bacteria from being trapped underneath the formed layer. If you don’t mind the odour and use it on a concealed body part, then this scar removal cream is a great fit for you. The ZENMED Skin Eraser Kit is two products bundled into one kit. 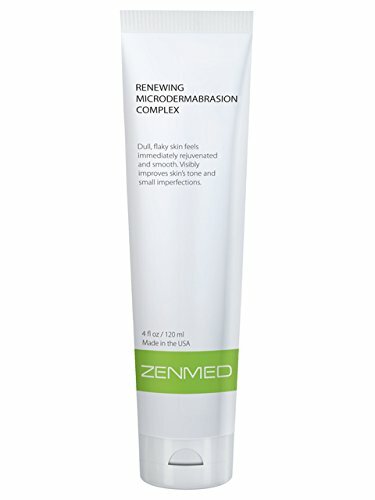 It consists of the Renewing Dermabrasion Complex and SKINCORRECT+ products from ZENMED, a company that makes many different kinds of skin care products. The main application for this kit is as an exfoliator similar to what you would get from a skin peeling treatment from a clinic. It’s good to exfoliate your skin, and you can use it to treat scars also. But we didn’t find many reports from people who used it as a scar treatment instead of an exfoliator. 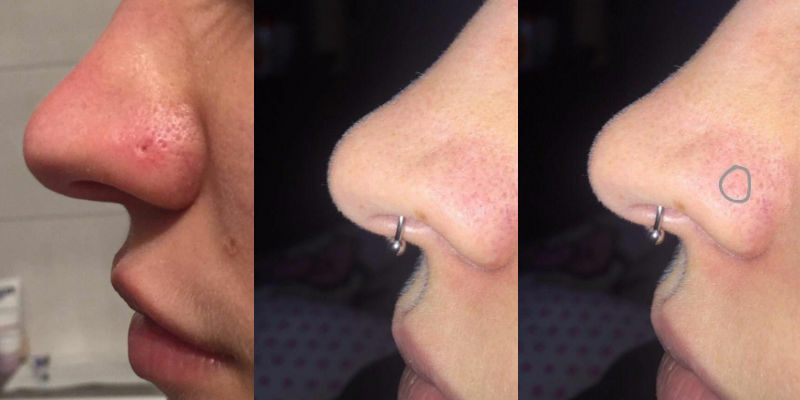 One woman was able to prevent a pimple from popping up overnight by using this kit. 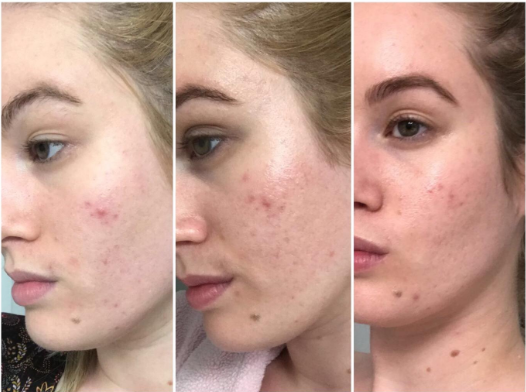 Similar to some of the scar removal creams on this page, some customers got acne breakouts after using ZENMED Skin Eraser. If you’re looking for a bundle that can act not only as a scar treatment but also skin exfoliator, then this product is a good fit for you. Reduce The Appearance of Scars as Much as 20 Years Old! 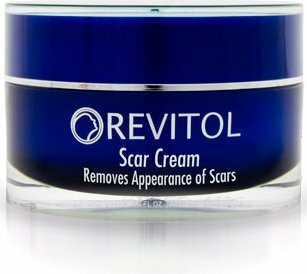 You can use Revitol Scar Removal Cream to heal acne scars and also scars from surgery and injury. It consists of natural ingredients that rely on proteins and vitamins to strengthen your skin. It works by helping your skin’s natural ability to regenerate to remove the scars. The way to apply it is twice or three times daily. If you use it sparingly, one jar can last you a while, although one customer had to use 3 jars to get results. This scar removal cream is especially useful for acne scars. What you should note about Revitol scar removal cream is that it has a distinct “funky” smell from the ingredients inside it. If you apply it on open wounds (such as cuts), it will burn slightly. The cream also tends to crumble if you put it on too lightly. As you can see, there are no guarantees that any of these scar treatment creams will work for you. What you can be assured of is that these are more affordable solutions that surgery. All of these creams can be bought over the counter, meaning you can get them without prescription from a doctor. Most of the scar removal creams require that you use it for 2-6 months, depending on whether you have a new or old scar. This means you might need to buy several tubes or jars at once, which can add up to a big amount of money. Even so, it is still not as expensive as an invasive procedure. In conclusion, scar removal creams take some time to work but they are still a low-cost alternative for removing unsightly scars. The 5 creams above are among the most popular and best selling in the market today. I recommend you to choose one so you can start healing your scars and return to feeling full confidence about your appearance. This section is to help answer questions frequently asked by the community. If you have a question you would like to ask, please write it in the comment section below and we will answer promptly. The best time to apply scar removal cream is when the wound has healed (not an open wound). Before the wound has healed, keep your skin well hydrated and moist. Depending on the wound, it may take several weeks before you can apply the cream. If the scar is because of surgery, apply treatment after all of the incisions are fully closed. It may take around five or six weeks after surgery. It has been proven that if the wound is kept moist and covered all the time, the tendency to form a bad scar decreases. Most scar removal creams do the same thing while making the scars softer, smoother, and less noticeable. 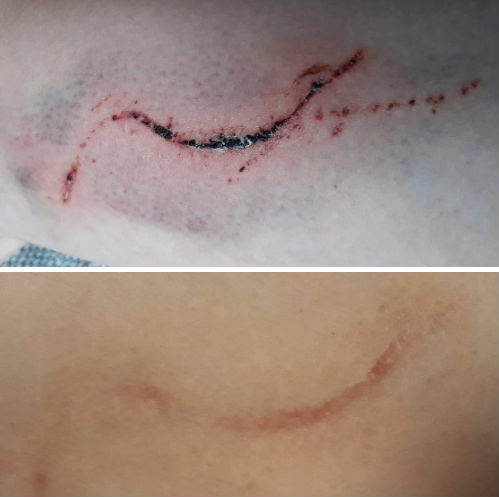 Scars appear in the process of forming new connective tissue and recovering the damaged one can sometimes take a little longer than expected. Most scar creams available on the market promote wound healing while improving their overall appearance, color, and texture. Most scar removal creams available on the market promote wound healing while improving their overall appearance, color, and texture. Wound healing is a complex process that occurs in almost all tissues after damage, aiming at repairing a lost or injured tissue. The best cream for deep scar treatment contains ingredients promoting tissue regeneration. Such scar removal creams contain skin restoring ingredients, such as CoEnzyme Q10 (Ubiquinone), D-panthenol, Hyaluronic Acid, Niacinamide (Vitamin B3), Quercetin, Vitamin E, Phytosterols. The best scar removal creams intensively moisturize, nourish, protect the skin, and promote tissue healing. They are usually concentrated with antioxidants & natural vitamins and contain anti-inflammatory and hypoallergenic ingredients, so they don’t provoke any irritation to the skin. Even the deepest and operative wounds can, can be dramatically diminished after starting a proper treatment. The silicone patches and gels are the most effective for deep, broad and relief scars. The sooner you start treating the wound, the better the result will be. Their mechanism of action is incredibly simple – the silicone forms a protective coating on the injured area, it no longer has direct contact with the air and does not dry out. Consequently, the excessive growth of the new connective tissue decreases and provokes the regeneration process. This way the scar does not differ dramatically from the surrounding skin. Applying topical silicone scar creams, gels, and patches, that stops moisture from getting away from the skin, are essential to healing scarring by reducing the scar tissue creation. NewGel+E and ScarlesMD are good formulas with silicone and we recommend them, especially for deep surgery scars. Injecting cortisone in the scar tissue or mixing a chemical called Five-fluorouracil and cortisone might additionally assist flattening a raised scar. When the injury is remedied and healing, the main problem is preventing the scar darkening due to sun exposure. During its formation, the scar tissue can get sun pigment in a different way compared to regular skin. Rather than getting brownish naturally and next fading, it will likely get coloration gradually still continually, in a practically permanent fashion. Sunscreen treatment is the most crucial component in the aesthetic scar recovering, and I suggest day-to-day sunscreen for nearly all healing open wounds, rain or shine. The facial skin is more fragile than the other body skin. This is why, you should consider buying a milder, less aggressive formula, containing less potential irritants. Seek for simple solutions, avoid those long and hard-to-pronounce ingredient lists. Additionally, whatever the types of your facial scars (acne scars, burns, traumas etc) keep in mind that the area affected should always be protected from the harmful UV-rays, as they can provoke the formation of melanin, which will then result in permanent hyperpigmentation. You can either use anti-scar creams, specially formulated for the (usually) uncovered body areas, such as face and hands. They are a combination of scar reducing and sun protection ingredients. We recommend using BioCorneum Plus SPF30 – a scar removal cream, specially developed for the most sensitive skin. It is fragrance-free, paraben-free, sensitivity-free and noncomedogenic – everything you need for the delicate skin of the face. Scars following skin burns are formed when the healthy tissue is damaged by high temperature or chemical substances and is replaced by connective tissue. Usually, these scars are red at the beginning, and their color fades after a couple of weeks or months, depending on the severity of the burn. Unfortunately, especially when it comes to deep burns, the complete 100% recovery of the proper functioning of the affected tissues is impossible. The treatment of scars after burning is difficult and prolonged, sometimes it may require several months. It begins after the wound has healed completely – this is when you should begin your treatment. The sooner you start – the better the results. The main goal is to keep the area well hydrated, all the time, this is why fast-drying transparent silicone-based gels are considered the most appropriate option. There are lots of natural ingredients in a scar removal cream’s content – they have moisturizing properties. However, the chemical ingredients included in such formulas provide with more efficient results; these components aim to soften and flatten the scar. The combination of natural and chemically developed ingredients provides with best results. Cepalin – Extracted from onions, cephalin is a natural compound commonly used for its antibacterial and anti-inflammatory properties. Alpha Hydroxyl Acids (AHAs) – The exfoliating action of A.H.A. unifies the relief of the epidermis and stimulates the regeneration of the cells. Silicone – The technology of this pharmaceutical ingredient smoothes and softens the scar tissue, helping to fade and erase new and old scars. It can be used as a preventative therapy on closed wounds to minimize scarring or after laser treatment. Glycerin – soothes and moisturizes without the unpleasant sensation of grease that creates the oils, even the lightest ones, and it also creates an invisible protective layer against the aggression of the environment. Hydroquinone – Its function is to clear the skin of darker areas that could come as a result of scar tissue formation. It will lighten your skin substantially in a manner which will not interfere with the recovery process. Simultaneously, hydroquinone is considered to clear the skin of fine lines, dryness, and some types of acne. Vitamin E – While looking for a good cream for scars, make sure Vitamin E is one of the ingredients. Vitamin E aids the body to heal open or closed injuries whilst speeding up the level of cell regrowth inside of all skin layers. Dimethylaminoethanol – This component can be present in most of the scar creams and justifiably so. Dimethylaminoethanol reduces skin pigmentation and dark spots during the healing process. Copper Peptide – Some scar removal creams use copper peptide in their formulas to improve the elasticity of the skin and the scar tissue during the regeneration process. It can be used with little to no side effects for a long period of time. Creams can be indeed helpful in restoring the damaged tissue and leaving no visible scars. They work by exfoliating the scarred area so that new skin can grow and replace it. Such creams usually have high anti-inflammatory properties to prevent further acne outbreaks. PerformanceSkin.com is a participant in the Amazon Services LLC Associates Program, an affiliate advertising program designed to provide a means for sites to earn fees by advertising and linking to Amazon.com. Handcrafted with by JoyWebStudio. Copyright PerformanceSkin.